gether with an experienced guide we take you out in one of the most beautiful archipelagos in the world according to us, CNN and many more. We meet at our kayakcenter in Grönemad, Grebbestad for a brief introduction before we head of to the beach and out into the ocean, between islands and skerries. 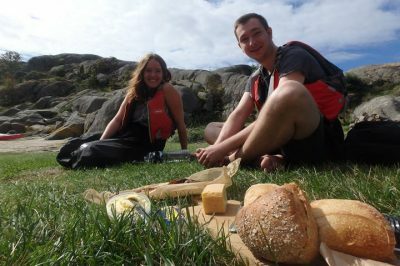 The tour takes 3 to 4 hours and includes a break at an island, where we enjoy a traditional Swedish “fika” (coffee and bun) or lunch depending on the length of the tour. We favour local producers and let the season decide what we will eat. In the summer, lunch is smoked mackerell with freashly baked bread from the local bakery, local products from our local dairy and specialities from the area. During the winter we make a fish soup served with fresh bread, homemade or from the local bakery and products from our local dairy. Together with the lunch we serve non-alcoholic beer and depending on the season, we might get hold of our famous local soda “must” from the local brewery. Grebbestad is the largest supplier of oyesters and up to 90% of all the oysters in Sweden comes from here. You will get a chance to see oyesters and perhaps learn something new about them. The guides share their knowledge about the nature and animals that we see both above and underneath the surface. During the winter you are likely to see ejders and during spring oyestercatchers and if we are lucky we might even see a seal or two along our way. 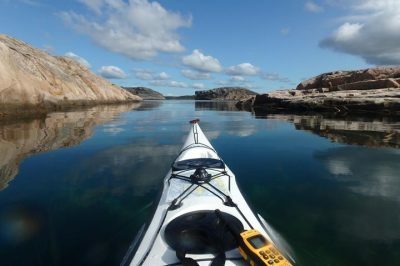 The goal with this tour is that you will have a nice introduction to kayaking and our magnificent archipelago. The tour is available from our main centre in Grebbestad all year around. Between September to May the tour includes a drysuit and we call the tour winter kayaking. You dont have to be an experienced kayaker, but you must be able to swim and above 15 years to paddle a kayak on your own. If you are younger than 15 years we recommend a double kayak. The tour is an introduction to kayaking and we will teach you the basics that you need for the tour. Please, bring water, sun protection, swim/neoprene shoes and extra clothes just in case you would get wet. There is two alternatives, with “fika” (coffe and cake) or with picnic/lunch and “fika”. We let the season set the meny and we prioritice local producers and organic products. 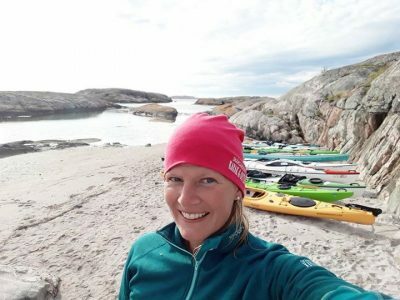 1350 sek per person for 4 hours inc. guide and fully euipped kayak, picnic/lunch and “fika”.